The Arapahoe Philharmonic believes that the education of both current and future musicians is in our hands. It is our responsibility as experienced musicians to share our training and passion with our community through performance and educational opportunities. We seek to inspire the musician within everyone. Instill a love of music in our community. Be a catalyst for musical growth. Promote respect for all individuals as they develop their relationship with music. 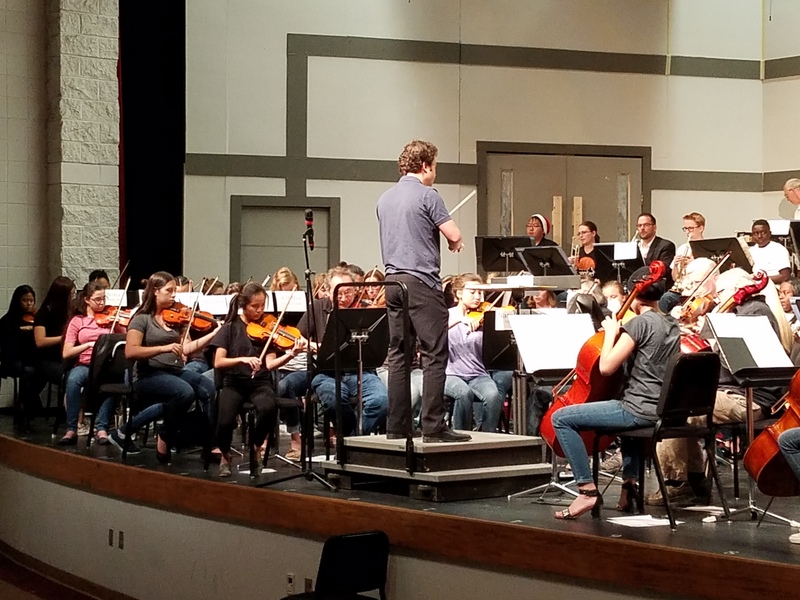 By implementing a structured and standards-based music education, students continue the generational conversation and become fluent in the language of music as a manner of artistic, intellectual and cultural expression. The acts of performing, creating and responding to music provide a means for development and growth in the ability to express the otherwise inexpressible and to facilitate growth in many areas of academic development. Learning to read and notate music opens for students the limitless body of musical styles, forms and repertoire, and allows them to see what they hear and hear what they see. The interconnections in music bring together the understanding of contemporary and historical cultures as well as self-knowledge. Participation in music provides students with unique experiences and skills essential for success in the 21st century workforce. Music produces creativity, innovation and cornerstone life skills that will be the key to opening doors for a more diverse and competitive workforce. Students of music use critical thinking, self-assessment, reasoning, problem solving and collaboration, and make connections in new and imaginative ways as they progress through their musical education. All of these skills prepare our students for higher education and the 21st century workforce. These standards outline the knowledge and skills needed by all Colorado citizens to participate productively in an increasingly creative economy and innovative society. 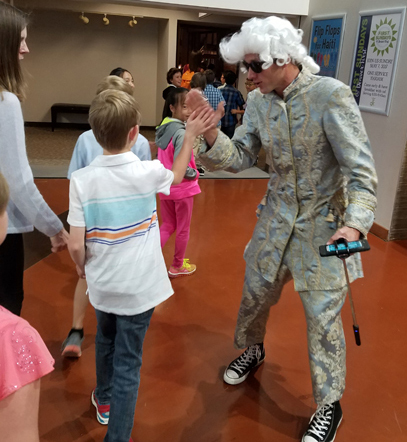 Education and outreach to area youth is a core component of the Arapahoe Philharmonic’s mission. We offer a number of in-school and out-of-school opportunities to engage with music students of all levels to foster a life-long love of classical music. Do you have an idea for an education project for the Arapahoe Phil? Please contact us at APEducationCommittee@gmail.com or 303-781-1892.